ELIGIBILITY. The Sweepstakes is open only to legal residents of the United States of America (excluding Rhode Island) who are age 18 or older, except that employees, officers, and directors of WHITAKER CENTER, subsidiaries or any advertising agencies or promotional suppliers, and the immediate family members ([step-]children, spouse, [step-]siblings, [step-]parents) and individuals residing in their same household (whether or not related) of each are not eligible to enter or win. Void where prohibited or restricted by law. Subject to all applicable federal, state and local laws and regulations. Participation constitutes entrant’s full and unconditional agreement to these Official Rules and WHITAKER CENTER’S decisions, which are final and binding in all matters related to this Sweepstakes. Winning a prize is contingent upon fulfilling all requirements set forth herein. HOW TO ENTER. NO PURCHASE NECESSARY TO ENTER OR WIN. Sweepstakes begins 2:30 PM EDT, August 20, 2018 and expires at 12:00 AM EDT, September 9, 2018 (“Sweepstakes Period”). To Enter the Sweepstakes, entrants must visit https://www.surveymonkey.com/r/B63RD5N during the Sweepstakes Period and follow the instructions to complete an official entry form (“Official Entry Form”). Limit of one entry per person. ENTRY FORMS. Once submitted, Official Entry Forms will become the sole and exclusive property of WHITAKER CENTER, will not be acknowledged or returned and cannot be changed, altered, revised, or modified. WHITAKER CENTER is not responsible for lost, interrupted or unavailable network, server or other connections, miscommunications, failed telephone or computer hardware or software or other technical failures, unauthorized human intervention, garbled or jumbled transmissions or other errors of any kind, whether human, mechanical or electronic, including without limitation, the incorrect or inaccurate capture of entry information online regardless of cause. In addition, WHITAKER CENTER is not responsible for late, lost, damaged, misdirected, illegible, incomplete or postage-due mail entries, prize claims or requests. Furthermore, WHITAKER CENTER retains the right to disqualify any entry that has been incorrectly completed and/or submitted. In the event of any dispute, all email entries will be deemed to have been submitted by the owner of the email account from which they were sent. Any attempt by an individual to use multiple accounts to enter more than once during the Sweepstakes Period are void. PRIZE. Three (3) Winners will receive: Four (4) vouchers for Sunoco Performance Theater to see Daniel Tiger King for a Day. Use of the Prizes to view the Daniel Tiger King For a Day is based on availability of seating, which will be determined exclusively by WHITAKER CENTER. Winners are responsible for all costs incurred with respect to their use of the prize awarded that are not specifically included in the Prize packages including, but not limited to, transportation, gratuities, incidentals, and meals. The Prizes are not redeemable for cash. Any interpretation of the Prizes shall be made within the WHITAKER CENTER’s sole discretion. The Prizes are not transferable. No prize substitutions, exchanges, or cash equivalents will be permitted by the prize winner, except that the WHITAKER CENTER reserves the right to substitute a prize of comparable or greater value if deemed necessary by WHITAKER CENTER in its sole discretion. WHITAKER CENTER shall not be responsible for Prize winner limitations that prevent the acceptance or use of the Prizes or any portion thereof. ODDS OF WINNING. The odds of winning the Prize depend solely on the total number of eligible entries received by WHITAKER CENTER during the Sweepstakes Period. SELECTION OF WINNER. The Winners will be chosen on or about September 10, 2018 from a random drawing of all eligible entries received during the Sweepstakes Period. The Winners will be notified by email on or about September 10, 2018. After the Prize Winners are chosen, alternate(s) will be selected on an as-needed basis in the event that any Winner is ineligible, declines the prize or cannot be located. Entrants do not need to be present to win. All prizes are subject to verification. Winners have three (3) WHITAKER CENTER business days to respond to Winner notification prior to forfeiture and alternate Winner selection. PUBLICITY RELEASE/GRANT OF USE. In consideration of entrants’ Official Entry Form being included in the Sweepstakes, each entrant hereby grants WHITAKER CENTER a non-exclusive, irrevocable, fully paid, universal license to use, copy, sublicense, transmit, distribute, publicly perform, publish, delete or display her/his name, voice or likeness in any media now known or hereafter devised without any further right of approval or compensation, and entrant hereby releases WHITAKER CENTER, their respective owners, directors, officers, employees, agents, licensees, and affiliated companies (the “Released Parties”) from any liability with respect thereto. By entering an Official Entry Form into the Sweepstakes, entrants acknowledge and agree that their participation, name or likeness may be made available to the public by WHITAKER CENTER. Entrants understand and agree that their name, voice or likeness may appear on the one or more of WHITAKER CENTER’s websites and/or on Social Media Platforms. 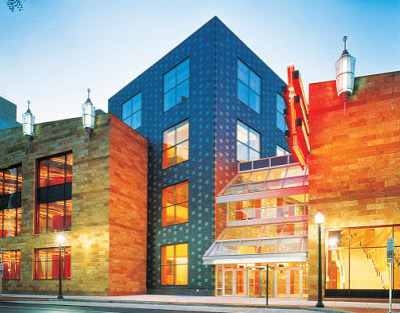 WHITAKER CENTER shall have the right, in their sole discretion, to edit, composite, morph, scan, duplicate, or alter, the Official Entry Form as determined by WHITAKER CENTER in its sole discretion. GENERAL LIABILITY RELEASE. By participating in the Sweepstakes, each entrant agrees to release, indemnify, defend, and hold harmless the WHITAKER CENTER, and its officers, directors, agents and employees and applicable Social Media Platforms from and against any and all costs, claims, losses, injuries, liabilities, or damages of any kind arising out of or in connection with, or due in whole or in part, directly or indirectly, from participation in the Sweepstakes, any Sweepstakes-related activity or sue of any prize awarded; unauthorized human intervention in any part of the entry process or the Sweepstakes; electronic or human error which may occur in the administration of the Sweepstakes or the processing of entries; any injury or damage to persons (including death) or property, which may be caused, directly or indirectly, in whole or in part, from entrant's participation in the Sweepstakes or any Sweepstakes-related activity; receipt, possession, use or misuse of any Prize; and any violation of any personal rights, such as publicity rights, defamation or invasion of privacy, libel or slander, or intellectual property right infringement. WHITAKER CENTER has not made any warranty, representation or guarantee express or implied, in fact or in law, with respect to the Prizes, including, without limitation, to such Prize’s quality or fitness for a particular purpose. ADDITIONAL RESTRICTIONS AND GENERAL CONDITIONS. Entrants who fail to comply with any of the Official Rules of the Sweepstakes may be disqualified from the Sweepstakes at the sole discretion of WHITAKER CENTER. By entering this Sweepstakes, all entrants acknowledge having read these Rules and agree to be bound by them and the decisions of WHITAKER CENTER or its duly authorized representative(s), and further waive any right to claim ambiguity in these Rules. WHITAKER CENTER is not responsible for any typographical or other error in the advertising for the Sweepstakes, administration of the Sweepstakes or in the announcement of the Prizes. WHITAKER CENTER is not responsible if Sweepstakes cannot take place or if the Prizes cannot be awarded or used due to cancellations, delays or interruptions due to acts of God, acts of war (declared or undeclared), natural disasters, weather, acts of terrorism, riot or civil disturbance, satellite or equipment failure, federal state or local government law, order or regulation, public health crisis, order of any court or jurisdiction, or other cause not reasonably within WHITAKER CENTER's control (each a "Force Majeure" event or occurrence). DISPUTES. Except where prohibited by law, as a condition of participating in this Sweepstakes agree under no circumstances will participants be permitted to obtain awards for, and hereby waive all rights to claim punitive, incidental or consequential damages, or any other damages, including attorneys' fees, other than participants actual out of-pocket expenses (e.g., costs associated with entering this Sweepstakes), and participants further waive all rights to have damages multiplied or increased. GOVERNING LAW. Except where prohibited by law, this Sweepstakes shall be governed by and construed in accordance with the laws of the Commonwealth of Pennsylvania. Participants hereto consent and agree that all legal proceedings relating to the subject matter of this Sweepstakes shall be maintained in the Court of Common Pleas of Dauphin County, Pennsylvania or, if applicable, the United States District Court for the Middle District of Pennsylvania (Harrisburg division), and participants consent and agree that jurisdiction and venue for such proceedings shall lie exclusively with such courts. TAXES. The Prize winner is responsible for all taxes, gratuities and fees, including, but not limited to federal, state and local income taxes. PRIZE PROVIDER. Whitaker Center is a prize provider only and has no responsibility or liability with regard to the administration or execution of this Sweepstakes except as may be required to fulfill its portion of the Prizes. All images and trademarks appearing within are used with permission.